March is credit education month! How much do you know about credit? Credit is obtaining goods or services and paying for them later as agreed upon in a contract. Some types of credit include credit cards, mortgages, car loans, and personal loans. Service contracts like your cable television, cell phone, and utilities are also considered forms of credit. Lenders use your credit score and credit report to determine if they are able to lend to you, and if so, how much they can. Many people think credit is a bad thing, but credit itself isn’t bad. What’s important is how you use it. 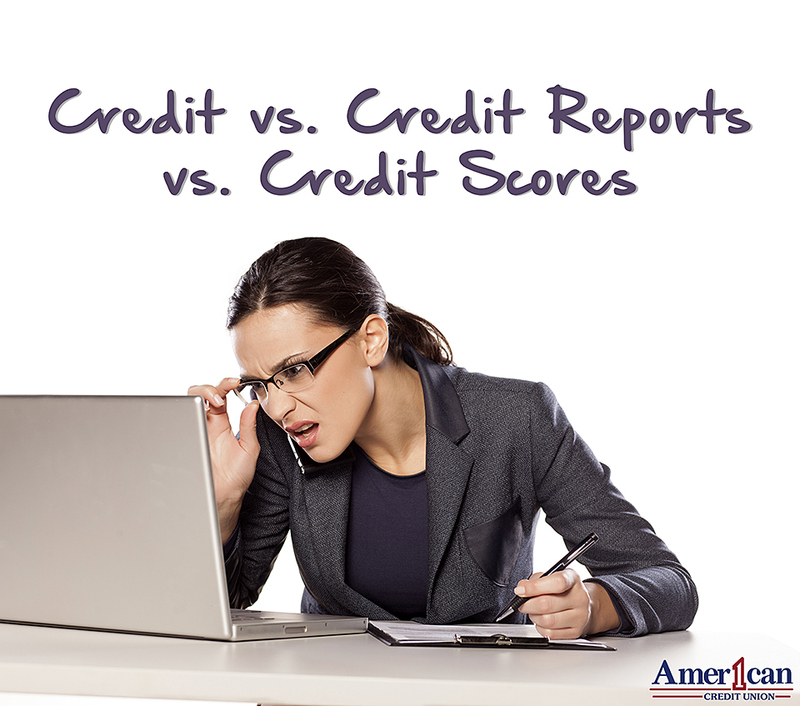 A credit report is just that – a report about your credit. When you apply for a job, you provide references; when you apply for a loan or credit card, you provide your credit report. It is your financial reference. Included in your credit report are identifying information, credit account information, public records, credit inquiries, and dispute instructions. Criminal background, medical information, transaction information, bank account information and balances are not included in your credit report. Lenders cannot tell how much money you make, how much savings you have, or your spending habits. Credit reports are used to determine the risk associated with lending to you. It helps lenders assess how likely it is that they will receive their money back according to the agreed upon terms. Using credit reports, consumers can address what is helping and hurting their credit, and work to achieve better credit. Put simply, a credit score is a grade based off of your credit report. It’s a faster tool for lenders to use instead of manually assessing your credit report. There are several different models and scales from many different sources. The credit score system is not a “one size fits all” system, since there are many things that impact each individual’s score. Next week, we’ll be going into detail about what exactly goes into a credit score. Stay tuned! If you’d like more information about your credit report and credit score, head to your local American 1 Credit Union and ask to speak with a Member Service Specialist.